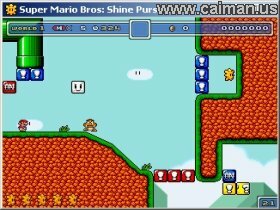 Caiman free games: SMB: Shine Pursuit by Hello. 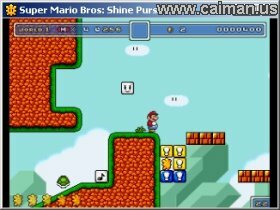 A Mario platformer: Collect shines. Play through many fun and challenging levels looking for all the shines in them. Also, there are minigames that you play on the way. A good and not-too-easy platform game with some puzzle elements. Ctrl or Z: Run/Pick things up. Space bar or C: Let out your reserved item. SMB: Crimson Hours - wi.